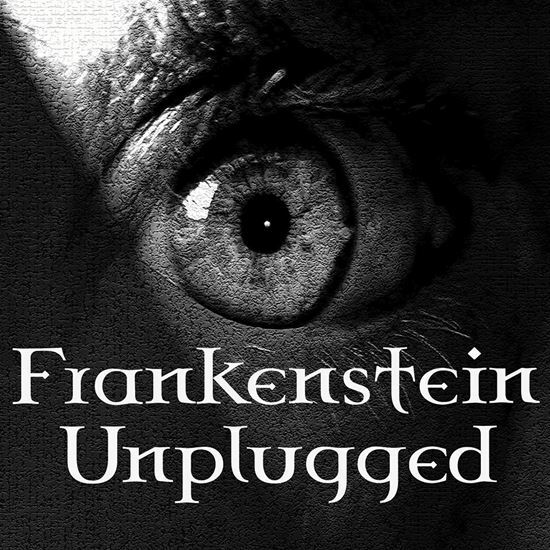 Jonathan Yukich’s "Frankenstein Unplugged" offers a faithful stage retelling of Mary Shelley’s classic Gothic novel. We meet Victor Frankenstein, who is obsessed with finding the secret to recreating life. Of course, he famously succeeds, but fearing he has overstepped the bounds of science, quickly abandons his creation and the promise to make it a mate. The creature, betrayed and forsaken, vows to ruthlessly destroy all that his creator loves and cherishes. The unrelenting pursuit goes to the very edges of the earth. Clever theatricality, such as using actors as lightning and thunder, and as professors in an intellectual Greek chorus, help transcend time and place. With its fast-paced narration and eerie landscape, this version of Frankenstein reminds us how contemporary and alive Shelley’s masterpiece remains. Widely flexible cast; settings defined simply by area lighting. I was asked by Montana Rep to write an adaptation of classical literature for their educational outreach touring show. Whatever I chose, it had to be done with only three actors and come in at under an hour. A tall task. Very few classical works lend themselves to such parameters, so I decided on Shelley’s "Frankenstein," a work of which I had always been very fond. Adapting a classic piece of literature for the stage, especially one as full of ideas as Mary Shelley’s "Frankenstein," is a stiff undertaking. After researching and re-reading the text several times, I was faced with the challenge of condensing a masterpiece of 200-plus pages to an hour-long stage play that incorporates only three actors. This takes a great deal of planning and imagination and that’s precisely what made it so much fun. Unlike novels, whose scope can span as widely as the writer desires, plays tend to be more restricted in their range. A play can’t go anywhere, anytime like a book. There are limits. However, it is the creative team’s ability to embrace these limits, finding a vibrancy and theatricality in what first may appear to be obstacles, that makes theatre soar. The scope of a play can be just as large as that of a book’s – it just takes a bit more inventiveness. It’s this approach that gives the theatre its infinite possibilities and allows us to bring an immense tale like "Frankenstein" to the stage. The fullest expression of any creative work is found in the medium where it first originates. A work of art – be it a play, a book, or a movie – is built around a set of conventions unique to that particular form. Because these conventions are very different from each other, it’s challenging to adapt a work from one medium to another. How many times have you heard “The book was so much different than the movie!”? This is typically true because the literary form is so unlike the dramatic form. The most I can hope for with "Frankenstein" is that it works on its own terms as a play, providing an authentic retelling of Shelley’s extraordinary story that captures the essence of the novel. I have many favorite parts in this adaptation. I like the sequence where Dr. Frankenstein creates the creature. I also like the more theatrical scenes, such as Thunder and Lightning, Tick and Tock, the bit with the cantaloupe; these scenes are not in the book verbatim, but the information and sentiment they convey do exist in the original. Still, I’m most proud, I think, of the end where the creature holds his creator and the lullaby motif returns once more. So what’s the biggest difference between a book and a play? A play has to move. The writer can’t get bogged down in exposition or excessive language. A play is intensive, not extensive. Good playwrights don’t tell the play, they show the play. The language in "Frankenstein" is fairly thick. Choosing what to use and how and where to use it, remaining conscious of not slowing down the play or making it too talky, is one of the more demanding tasks in adapting this novel. What was the most difficult part of creating the adaptation? Figuring out how to do it with only three actors. For anyone who likes this play, read the book. A major decision I made early on was to be as true as possible to the story Mary Shelley first put down. So much of what we “know” of Frankenstein comes from Hollywood and a good bit of it is tawdry and watered-down. I tried to discard all of that in this adaptation. What I’m most proud of with this play is that, even with having to cut certain elements for the sake of time, Shelley’s plot remains mostly intact. Seeing this adaptation, you’ll have a strong idea of the novel’s through-line and arc, as well as its array of stimulating ideas. But again, read the book. With its depth and thoughtfulness and imagination, "Frankenstein" is sure to keep you turning the pages. Great stories have a way of doing that. I wanted to shed a lot of the Hollywood myth and cliché associated with the work, and provide a theatrically faithful retelling of Shelley’s incredible novel.